A centuries-old and shared passion for the outdoors and hunting in large open spaces, attention to the specific requirements of Nordic hunters and their direct involvement in the development process of the garments. 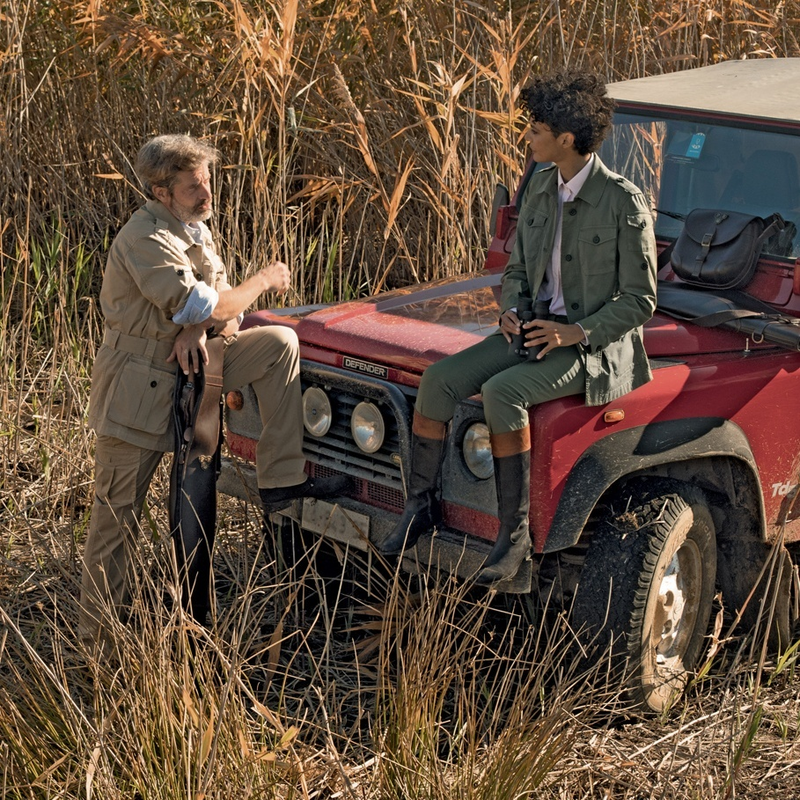 The search for solid, state-of-the-art solutions and field testing, conducted by the most renowned professional hunters. 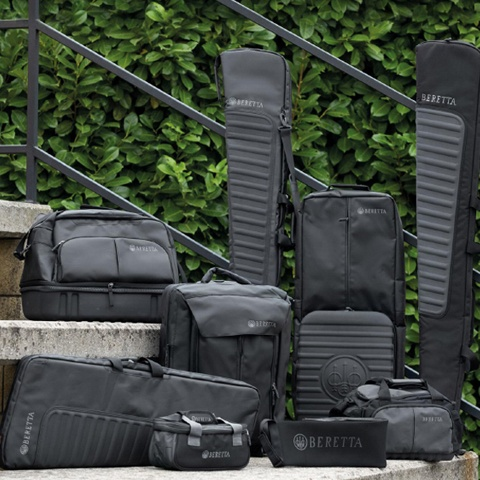 These are the ingredients that have allowed the Beretta Clothing & Accessories Development Centre to produce this first Scandinavian collection. Two winning outfits, designed to respond to the essential requirements of hunting in Nordic climates: silence, protection from the elements and freedom of movement. 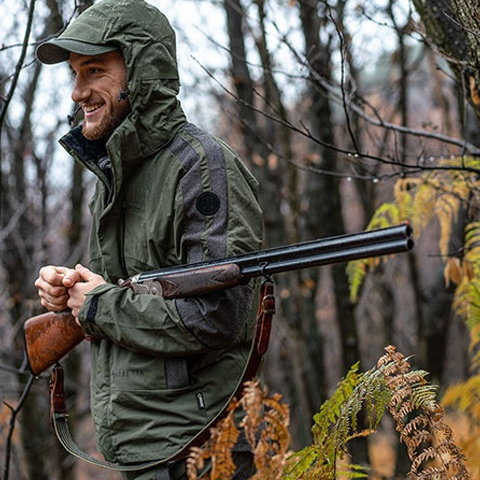 KODIAK, a more traditional style, is a jacket and trousers outfit in heavy microfibre with a Gore-Tex® membrane, completely waterproof, breathable and windproof, available in Realtree® green and camo Xtra. The extremely complex design allows adjustments to the neck, chest, cuffs and the trouser hems to prevent air and water from entering. The jacket is longer on the back and the back pad on the trousers provide protection from the cold even when you are seated. Pre-shaped elbows and knees and large back gussets ensure complete freedom of movement. Openings for ventilation under the arm and in the trousers help to get rid of excess sweat during more challenging walks. The anti slip patches on the shoulders makes carrying shotguns safer and easier. The large, special pockets on the jacket and trousers ensure you have all the space you need for the day’s equipment. BROWN BEAR is a dynamic-look outfit, designed to provide top performance at a competitive price. 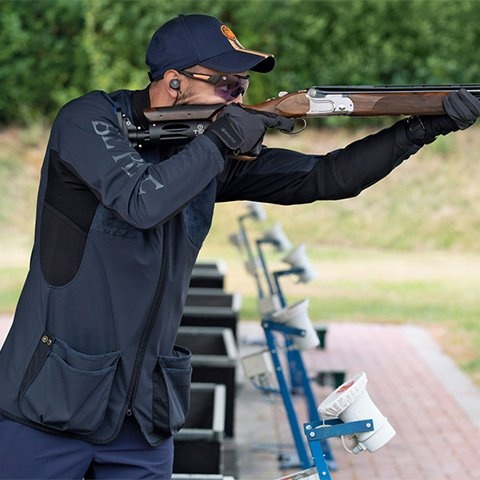 It is intentionally light and can be combined with several internal layers, for a greater versatility; it is manufactured using microfiber, very silent, and the Beretta BWB membrane; it is waterproof, windproof, breathable and has taped seams. The many design details include: zip cover flap with hidden snap asteners, radio pocket with antenna fixing system, front safety pocket with zip, adjustable Velcro cuffs, slip proof patches on the shoulders and mesh lining inside.